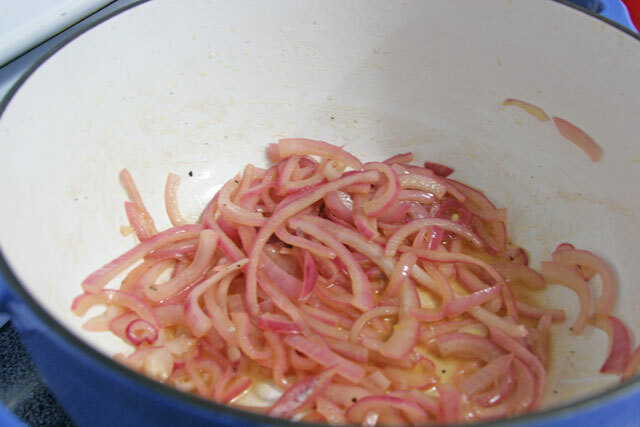 I am sharing a recipe this week, although I have been quiet for several days now. It is time for me to share I how I reflect and my cooking is one of those things I do. So I did feel it was appropriate to share this healthy and hearty recipe that filled me up and helped me reflect on the things that matter. Like the recipe, these words are healthy and hearty for me. I tend to reflect a lot, even when things are going great. And perhaps a bit more when things are not so good. So in light of recent events I will share with you how I reacted to the Connecticut shootings. I will not, however, share my opinions on what could have, or should have happened had things been different politically. Nor will I be sharing my personal opinions on any matters that have to do with gun control or mental health. This is me sharing how I felt, bottom line. It was my birthday morning. I turned thirty three on December 14, 2012. I was quietly enjoying my morning coffee with my kitty girls on my lap with the Christmas tree lights on and I was content and grateful to have this time before I went to work. For which I was and am very grateful for as well. I posted a photo of that moment on my Instagram to share. I then check my Twitter feed to say hello to the world and keep up on my blog friends and their happenings. To my surprise I read the news, it was all over Twitter. In every way possible, but mostly people up in arms about our arms. I quickly began to feed into the noise about it all. And stay with me here when I say that. I fell into reading and becoming depressed about it all, I felt I did not want to go to work and live my life that day, just stay home and read over and over about the tragedy of these poor children and the monster that inflicted insurmountable pain on these families. Something so inexcusable, so ridiculous, that I could not wrap my head around it for days. I still cannot. But at the same time I am not surprised. People are crazy, and it is as simple as that. I sat and made a conscious effort to send the people suffering strong light, prayers, and loving energy. Wrapping them in light, and still doing so. I chose to honor the lives of the those lost that morning, the children, by making an even greater effort to live this life I have to the fullest of my potential. Honor those children by being grateful for all that I have, and continue to grow each day and spend my time with those that are important to me, and add value to my life. That is how I dealt with the tragic news on the day that I was given life thirty three years ago. I had a heavy heart, I cried. I held my niece in my heart and in my mind all day, as she is far away in California. My heart was heavy that day, but I chose to go to work with a positive outlook that I am here and fortunate. I will honor those from that day and from all of the other tragic events that happen all over our globe all too often. It is the way I deal with it, and what works for me. With all of that I had a wonderful birthday. I played with my kitties a little extra that day, left for work a few minutes late to spend cherished time reflecting. I had a successful baking day at work, and came home to a beautifully cooked birthday dinner Brian had made me. And to a beautiful bouquet of flowers with my favorite, a handmade card with amazing sentiments and reflections on our life together. It was a day to be thankful for, a life to be thankful for. Because unfortunately for many children, that was their last day. So that is how I choose to live and reflect. It’s been said many times before for a reason, and I do not take it for granted. Life is short. Live it. Honor the ones who cannot any longer. 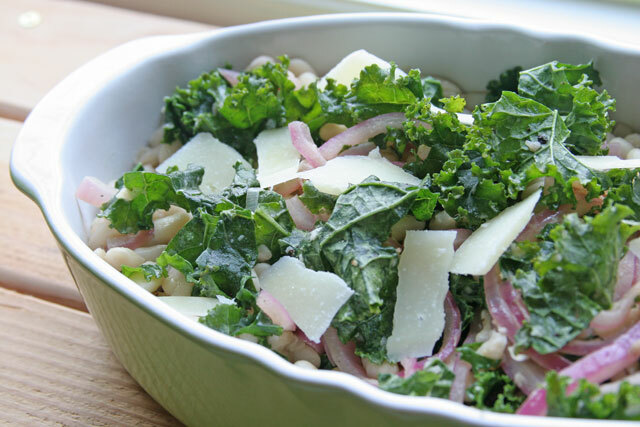 With that I give you a simple, and quick healthy hearty warm salad recipe. This recipe is filling, and allows you time to spend with your loved ones while still giving them an amazing meal to share with you. I adapted it from Better Home and Garden September 2012. It is a low cost meal at about $1.30 per serving per the magazine article. I made for $1.00 per serving by buying the greens at the farmers market and the beans on sale at a local grocer. 1. Heat 1 tablespoon of butter and 1 tablespoon of olive oil in a large pot or dutch oven over medium low heat. 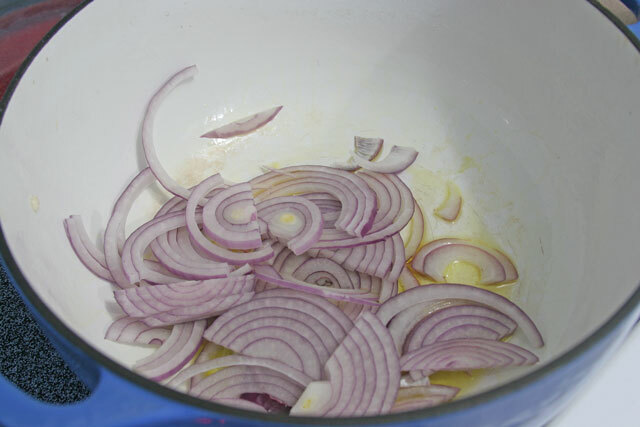 Add the red onion and stir. Cover and let cook for 5 minutes. Add 1 tablespoon of vinegar, stir, and cover. Cook for 5 minutes. 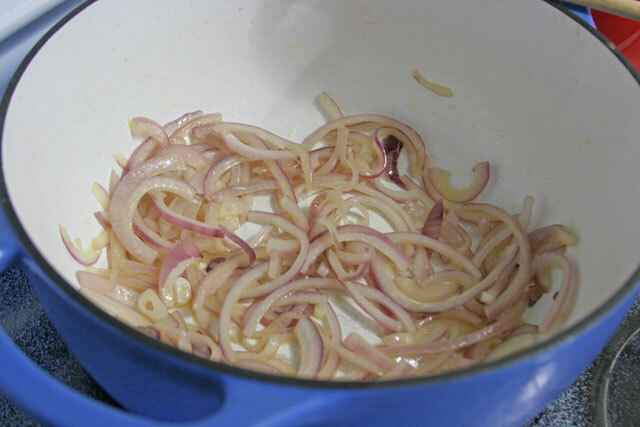 The onions go through a pickling stage, although this is not a traditional pickling, it’s faux quick pickled. Took about 5-7 minutes to cook the onions. 2. Add the beans, a large pinch of salt, about 1/4 teaspoon, and 1/2 teaspoon of pepper. Stir to combine. Add the remaining olive oil, and kale. Stir to combine. Cover and cook for 5 minutes or a until kale is warmed and wilted a bit. Add the lemon zest and stir. Taste the seasoning now. Does it need salt or pepper? Add a little at a time, and taste, but remember the cheese has salt so keep that in mind when adding more salt. Stir. 3. Serve with large shaved pieces of parmigiano reggiano. Beautiful recipe, beautiful post. It was really nice to read such raw and heartfelt words. Thank you for sharing! Thank you sweet lady. I really appreciate that. It’s tough speaking the truth when it doesn’t resonate with everyone. But it’s how it was for me. That’s how I roll.